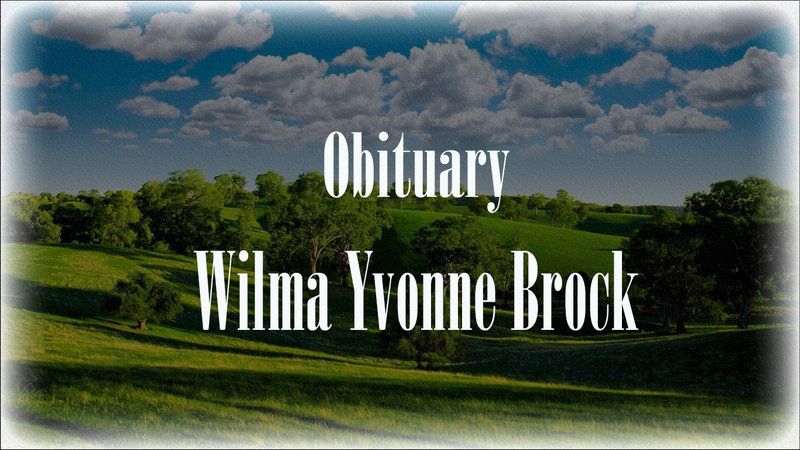 Wilma Yvonne Brock, age 58 of Hanceville, died Thursday, January 3, 2018. She is survived by her son, Aaron Brock (Karlee), sister, Kathy Pruitt, 3 brothers: Gary Harper, Ricky Harper, Stanley Harper, grandchildren: Karma Snell and Ella Brock and ex-husband, Roger Keith Brock. The family will receive friends Saturday evening from 6:00 P.M. until 8:00 P.M. at Moss Service Funeral Home. The celebration of Ms. Brock’s life will be Sunday, January 6, 2019 at 2:00 P.M. at Moss Service Funeral Home with burial to follow at Center Hill Cemetery. Please visit mossservicefh.com to leave condolences for the family. Moss Service Funeral Home Directing.